Can You Snowboard With Your Period? Menstruation may raise your risk of injury while snowboarding. For the extreme-sports enthusiasts out there, snowboarding has the adrenalin rush of surfing but also is a great way to exercise in winter. Learning is fairly straightforward and relatively easy, albeit requiring practice in order to master. However, the sport is not without the potential risk of injury, KidsHealth.org notes. Besides frostbite and sunburn, the risk of physical injury is always a possibility. Unfortunately for women enthusiasts, snowboarding is further complicated by their monthly menstrual cycle. Snowboarding subjects the body to physical stress because of factors such as weather conditions, as well as the level of physicality required to negotiate natural and man-made obstacles on the snowboarding path, KidsHealth.org notes. Your body is also subject to potential injuries ranging from pulled muscles to full-on physical trauma. Snowboarding places a prolonged physical stress on the body. Women, during menstruation, may suffer from increased cardiovascular strain when undergoing long-term physical activity, according to a 2003 study in "Sports Medicine," although the injuries are more pronounced in high temperatures. Menstruation is linked to a decrease in overall endurance levels, an article in "Sports Medicine" explains. Women in the mid-luteal phase of their period may experience fatigue sooner than they expect. Fatigue increases the risk of injury in most sports, including snowboarding. Menstruation can also cause severe cramps that make even normal tasks difficult, MedlinePlus warns. These severe cramps may make a strenuous activity like snowboarding impossible. Furthermore, menstruation can trigger underlying physiologic conditions like migraines, "The New York Times" Health Guide reports. As estrogen levels drop just before menstruation occurs, a woman prone to migraines may develop a migraine headache. Regular, moderate workouts reduce menstrual symptoms such as cramping, nausea and irritability, according to a report in the "Journal of Obstetrics and Gynecology India." The body will slowly adapt to the exercise during menstruation. As a women gradually increases workout intensity, she will suffer less adverse effects from her period. Given enough time, even a strenuous activity such as snowboarding can be performed while menstruating. 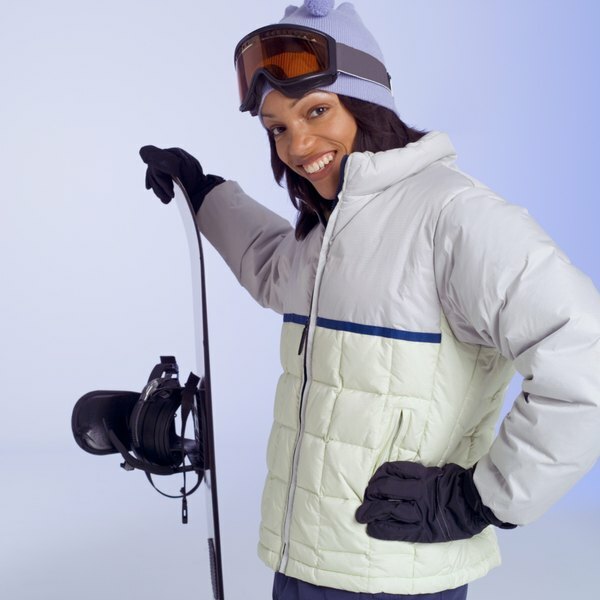 However, a woman should stop snowboarding if she feels any dizziness, cramping or other similar symptoms. In addition to managing adverse physical effects, menstruating women should also consider taking other safety precautions when snowboarding. 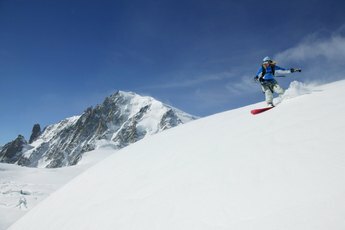 Invest in protective gear particularly to guard against wrist, knee, head and impact injuries, ABC-of-Snowboarding.com notes. Menstruating women are more likely to sustain ACL injuries especially during the first few days of their period, a study published in 2002 in the "Journal of Athletic Training" notes. This has to do with a change in the way menstruating women walk which is different from when they aren’t menstruating. One way of lowering their risk is for menstruating women to avoid putting too much load on their knees and ankles. Female athletes accomplish this through special neuromuscular training that helps build better muscular coordination as well as methods of lessening load on the knees. Snowboarding subjects the legs to strenuous physical stress. Does Exercise Expel Excess Sodium From the Blood Stream? Does Snowboarding Damage Your Knees?